Excellent Performance: Each e12 light bulb is Daylight white 5000K, Not dimmable, 550lumen, giving you a bright and comfortable ambiance. 18-month Warranty: Guarantee to make a replacement or refund when products are still under warranty. Feel free to contact us if you have any questions. 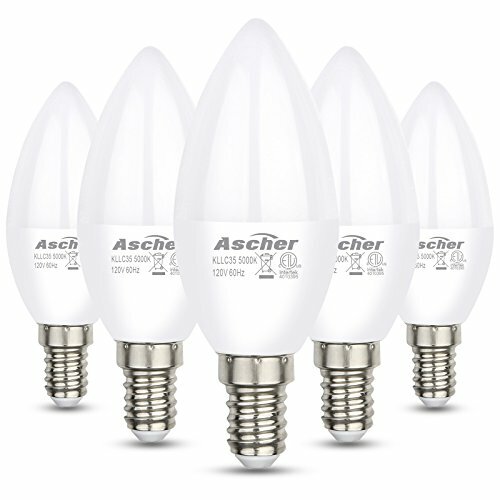 If you have any questions about this product by Ascher, contact us by completing and submitting the form below. If you are looking for a specif part number, please include it with your message.